Triumph the Insult Comic Dog visits the Tony Awards. Yeah, this is still funny to me. Times Podcast of the Week! Guess who's the Times of London podcast of the week? Hint: it starts with "Kasper" and ends with "Hauser Comedy Podcast," and is the Kasper Hauser Comedy Podcast. Kasper Hauser was the mysterious 19th-century foundling about whom Werner Herzog made a film in 1974. It is also the name of an enigmatic blog by a quartet of San Francisco comedians. Wonderfully realised, the podcast’s wistful and surreal laughs are conveyed in parodies of the cult radio show This American Life with Phantom High School, in which people talk about a fake school where diplomas “crumbled into dust” and the building was made of “spider web crystals”. 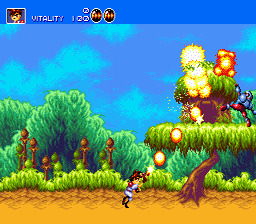 Very silly and great fun. 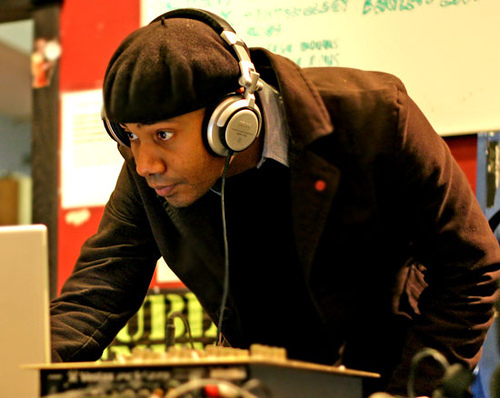 Our guests: First up is Paul D. Miller, AKA "DJ Spooky". Miller is a New York writer, artist, and musician. His live show "Rebirth of a Nation" is a film/music/multimedia rethinking of D.W. Griffith's The Birth of a Nation. Then we hear from New York Times Hollywood writer Sharon Waxman. She's the author of Rebels on the Backlot, which discusses the indie film explosion of the mid 1990's and the directors behind it, including Quentin Tarantino, Steven Soderbergh, and David Fincher. This week, Coyle & Sharpe attempt to record the inside of a man's stomach. When Publisher's Group West, the foremost independent book distributor in the country, went through serious financial difficulties last year, it had ramifications throughout the publishing industry. Lots and lots of indy presses were owed money by PGW, and they got very little of it when all the dust settled. Among the many publishers who suffered greatly was McSweeney's. The loss of revenue has meant that our pals in SF have a pretty serious cash crunch, and they're asking for your help. Luckily, it means they've discounted almost everything they sell signficantly, in the hopes that you'll buy a lot of crap and help them out. So, yeah... do that. Is it too late to get Randy Newman to run for president? And here's a bonus: "It's Money That Matters" with Mark Knopfler on guitar, looks like on SNL. "Of all of the people that I used to know / Most never adjusted / to the great big world / I see 'em lurking in bookstores / and working for the public radio..."
Why doesn't western literary tradition respect comedy? The dark history of "white trash"
Congrats to Hard N Phirm, who are getting a Comedy Central special! Neal Pollack teaches his son early about TSOYA t-shirts. Hard N Phirm comment on soft rock on Video Hits One. Judd Apatow + Harold Ramis + Jack Black + Michael Cera = "Year One"
The secret to opening for Springsteen: form a band of literary superstars, like my friend Kathi did. Is improvisation ruining film comedy? Earlier today, Portland hip-hop group The Lifesavas were over at the house, taping an interview you'll hear on the show in a few weeks. They got stuck in the elevator in my building for about 20 minutes, but were pretty remarkably nice about it. When they made it into my apartment, Jumbo said, "this is a nice building, though." Vursatyl said, "Yeah, it kinda looks like the street from that Blackalicious video... uhm..."
"Make You Feel That Way." It just occurred to me that music videos can be viewed on the internets, so I checked out the clip for "Make You Feel That Way," and damned if it doesn't feature my building prominently. Besides that, the song is one of my all-time favorite feel-good records, as evidenced by the fact that I included it in the summer mix I just posted. So give it a look and let my apartment building fill your eyes, while happy rap fills your heart. Yay Area representatives: Chris Hardwick spilled the beans that he'll be opening for Dave Chappelle at the Punchline in SF tonight. Check Ticketmaster (repeatedly) for tickets, Chris says they should be up around now. A good and decent man, committed to education. He was a guest on The Sound of Young America a few years ago -- you can download the show (which also features the great Shelley Berman) here.